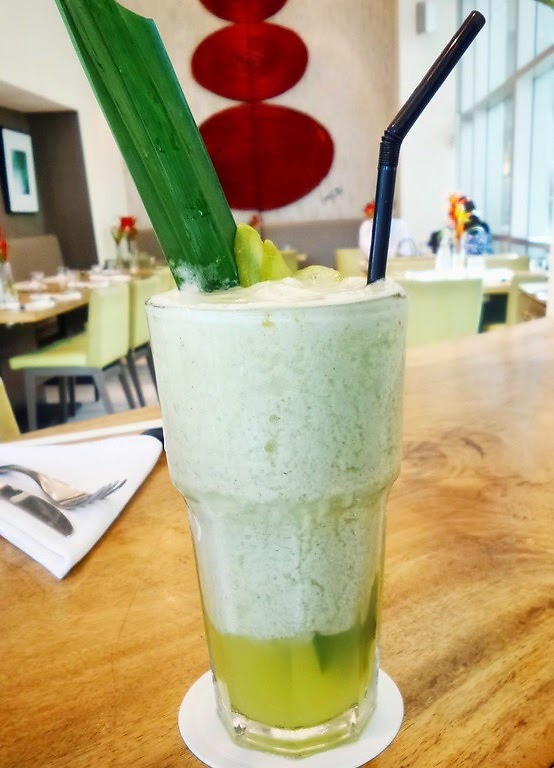 When you're caught unaware where to bring your friends or colleagues for an afternoon snack that's not crowded, noisy and that can bring a candid break from the usual coffee and cake afternoons, then head on at M Cafe or Kabila. For a mere P595 you get a pot of Twinings Lady Grey tea, assorted dimsums and sweets. Don't you know that the term "high tea" was made apparently to fill up rich people in between lunch and dinner. 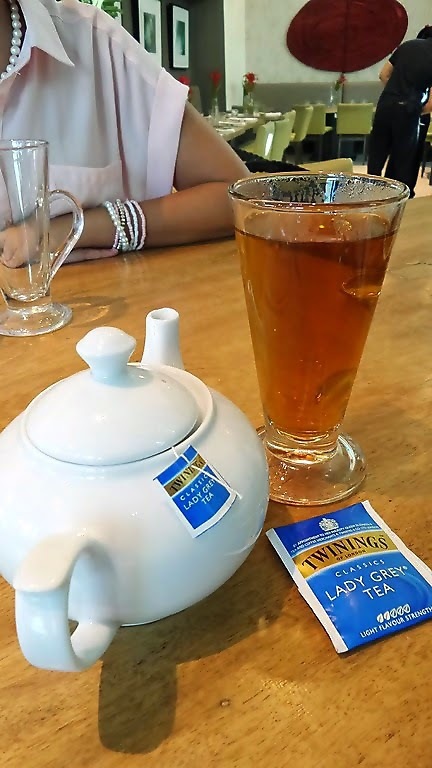 It's a variation from "afternoon tea" which was developed by English rich people where teas are enjoyed with an addition of light savory noshes that are easy to prepare on a regular high table. So while Afternoon Tea was largely a social event for their upper class counterparts where tea is paired with shabby scones and pastries, high tea became part of the daily meals served in such homes and noble dining places. Here in our country, you would often see this promoted in hotels' lobby cafe ad rarely in upscale restos. Now, you don't need to spend that much and feel like a royalty. Just imagine, having tea on a Royal Albert collection, seated on a very comfy, high-end wingback chair at Kensington Palace or Waldorf Astoria in Edinborough and munching your favorite dimsums. Eating dimsums with your choice of tea is kinda cool right, so I guess you wouldn't have second thoughts if I invited you to visit M Cafe at Greenbelt 4. Because they now have as I've mentioned, Dimsum High Tea package. It was such a blessing that my daughter and I was able to try it a couple of days ago, after our dentist didn't give us a schedule that day. 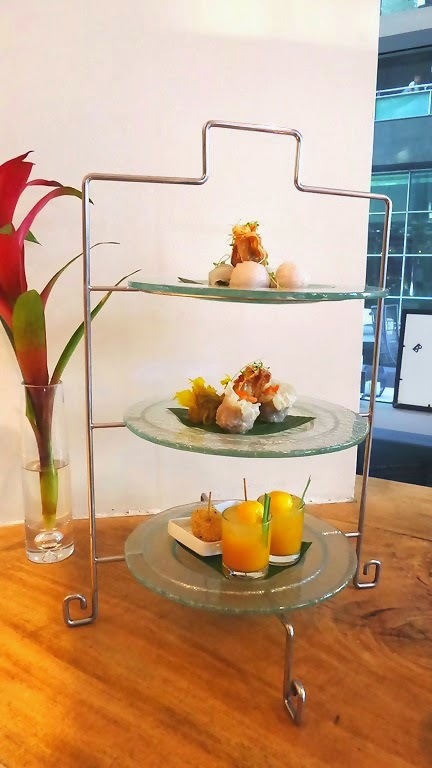 The third tier platter consisted of sweet treats such as Chocolate Stuffed Buchi, Mango and Tapioca Pearl. 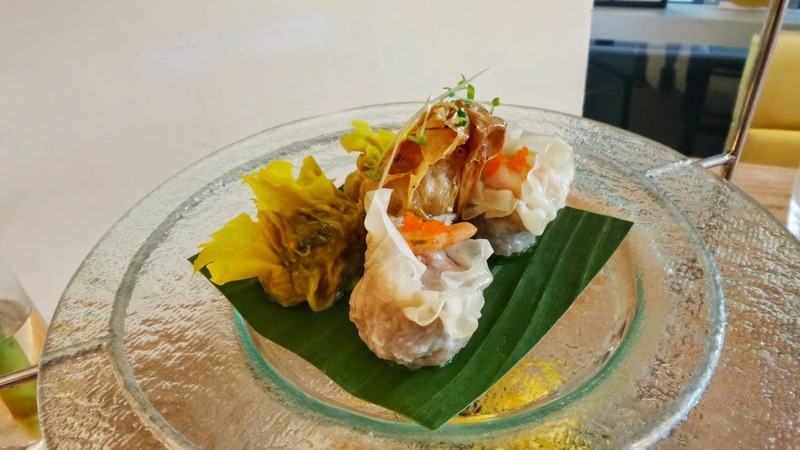 My daughter is not a fan of dimsum, except the infamous "master siomai" variant, but surprisingly she loved every bit of what she tried. The package is good for two persons, but three of us shared with it and must I say it was pretty substantial for a meryenda (Filipino afternoon snack). 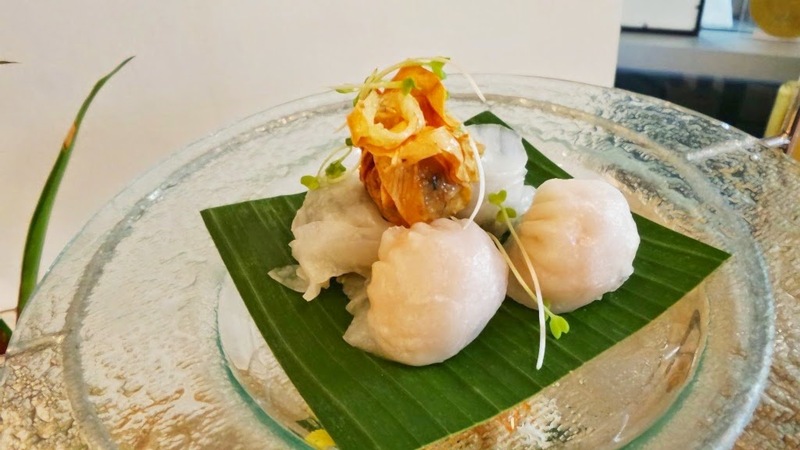 Our favorite was the Crystal Prawn Dumplings, which I thought at first was hakaw, but it's quite similar to it, which has that smooth and silky covering but with a super stuffed filling of vegetables and prawns. 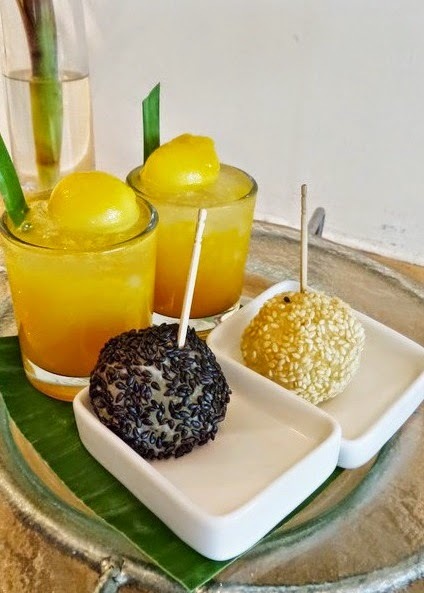 The chocolate stuffed buchi is something I'd definitely go back for, while the Mango Tapioca Pearl is a refreshing welcoming treat for the summery heat that's upon us now. Available everyday from 2 pm to 5 pm. 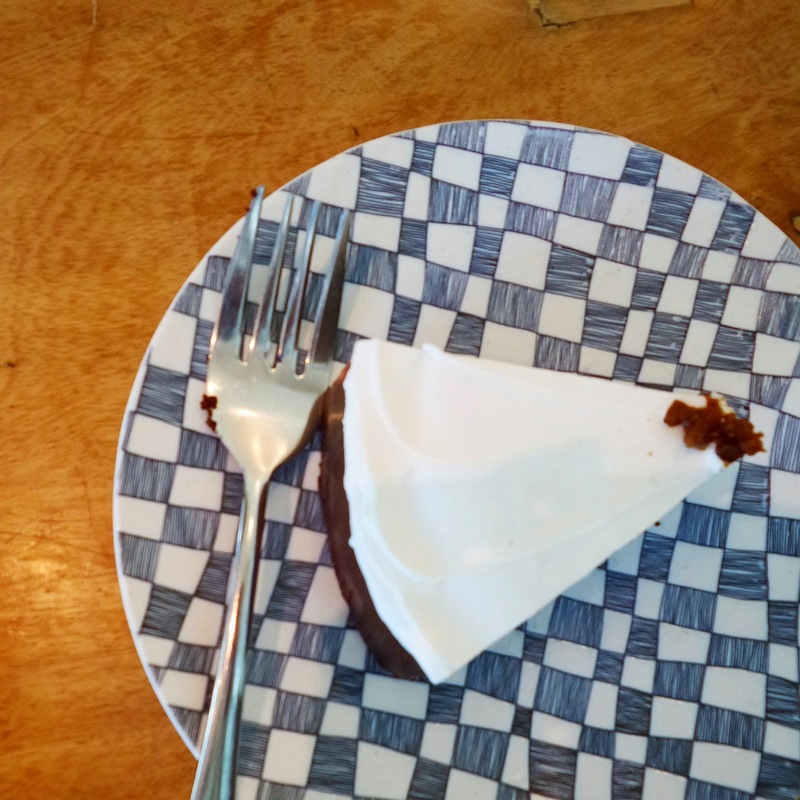 While you're at it, you can also try their best-seller cake, the decadent Chocnut Valrhona. Now my daughter's favorite moist cake. 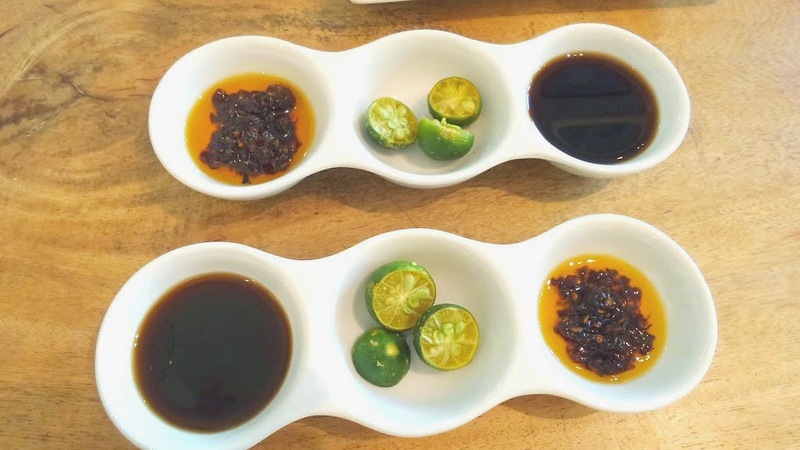 If you're not into teas, maybe this invigorating concoction of lime and calamansi can whet your cravings for a really cold glass of healthy slush. There you have it...something new yet classic, heavy on the tummy but not on our pocket. Address: G/F Greenbelt 4, Makati Ave. cor Dela Rosa St.